…Fa-la-la-la-la, la-la la, la. Oh, the joys of holiday decorating. Pull out those tangled strands of lights and boxes of ornaments passed down through the years. Set up the tree, roll out the ribbon, light up the candles. Most of all? BE SAFE. The hidden dangers of holiday decorating can take quite a toll and that’s a fact. The Consumer Product Safety Commission and the Electrical Safety Foundation International estimate that 76 percent of Americans decorate their homes during the holiday season. And, each year, hospital emergency rooms treat about 12,500 people for injuries related to holiday lights, electrical decorations and Christmas trees. Hmmm. Before you set out to replicate Clark Griswold’s display of 25,000 twinkling lights, here are some safety tips to consider. Check everything prior to use. Check lights for frayed cords, broken bulbs and bad plugs. Indoor bulbs are for indoor use and outdoor bulbs are for outdoor use. Seems simple enough, right? Avoid electrical overload – no more than three standard-size sets of lights per extension cord. Use only lights tested by a nationally recognized testing laboratory. Before climbing up on that ladder, make sure it is on secure and level footing. Always use the buddy system; use caution. Falls do not a jolly experience make. Make sure live trees are fresh – green, with needles hard to pull from the branches and the bottom of the tree sticky with resin. Monitor water levels, keep out of high traffic areas and away from any heat source – fireplaces, vents, radiators. Artificial trees should be labeled “fire resistant”. Keep children and pets safe. 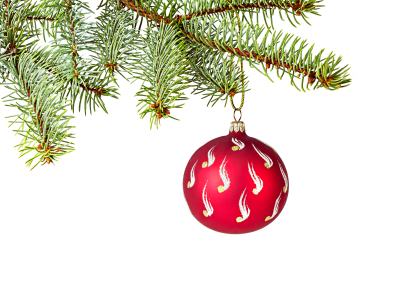 Small pieces and parts ornaments can be choking hazards. Holly, mistletoe, poinsettias and other seasonal plants can be toxic if ingested. Just a few things to think about. Now go deck those halls – SAFELY! Happy Holidays!